Former Independent Police Investigative Directorate (IPID) head Robert McBride says former Minister of Police Nathi Nhleko "did not understand" the notion of the independence of IPID. McBride was testifying at the judicial commission of inquiry into allegations of state capture on Friday. The former IPID boss said he wrote to the Portfolio Committee on Police before his suspension to clarify contradictory reports relating to the so-called Zimbabwe rendition. But Nhleko was not happy with this, McBride testified. He told inquiry chairperson, Deputy Chief Justice Raymond Zondo, that he was not sure why Nhleko was unhappy with him for obeying the law. "He seems to misunderstand his authority and how it is undermined by me engaging with the people's Parliament. "The minister did not understand where his authority begins and ends, and the issue of openness. He preferred Werksmans to Parliament," he said, referring to the law firm tasked with probing two IPID reports. One report was a preliminary one which recommended that former Hawks head Anwa Dramat and former Gauteng Hawks head Shadrack Sibiya be prosecuted. However, a final report, signed by McBride (after he took office in 2014), was also signed by investigators Innocent Khuba and Matthews Sesoko and found that evidence related to Sibiya could not support prosecution. Further investigations revealed there was no element of crime committed related to Dramat in the rendition case. McBride claimed Nhleko used the preliminary report to suspend Dramat, who was later forced into early retirement. The Werksmans report was used to institute criminal charges against McBride and two other investigators in the rendition case. McBride said besides the report, there was no other evidence against them. If the Werksmans report was the basis for criminal charges against him, and the charges were withdrawn, "what was the point of the report, if it could not be used for litigation?" McBride has maintained that the Werksmans report was "flawed". He also added that Nhleko used the report to justify his actions. 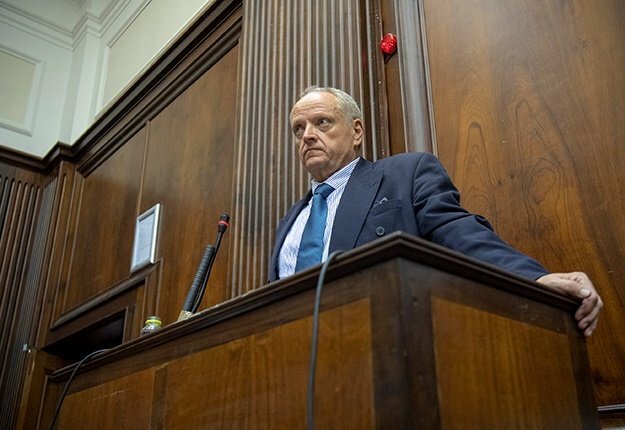 He told the commission that Werksmans, as a private legal company, should not have been involved in the work of the National Prosecuting Authority. McBride also told the commission that Nhleko knew about the preliminary report because his predecessor, Nathi Mthethwa, was made aware of the preliminary investigations. "The ministry is the ministry," McBride said.